Home / Celebrity / News / Viral / Pinoy Musical.ly Queen Sammie Rimando Now In Relationship With This Actor! Pinoy Musical.ly Queen Sammie Rimando Now In Relationship With This Actor! The most popular May-December love story as of today is the story of the hit Korean series Goblin but for the case of Goblin and his bride, their age difference is hundreds of years. In reality, this type of relationship somewhat lasts longer compared to couples who are of the same age. Adding to the list of a May-December love story in showbiz is couple Arjo Atayde and Sammie Rimando. Sharing a 7-year age gap, Arjo and Sammie met in showbiz where Arjo is active doing teleseryes particularly the “Ang Probinsyano” in which he played the greatest villain of Cardo Dalisay while Sammie is still a newcomer in the showbiz industry and now part of It’s Showtime’s Girltrends which levelled up her career from being an online sensation. In 2016, it was reported that the “Ang Probinsyano” star is dating a new Kapamilya star but was not disclosed until Arjo and Sammie were ready to open their relationship to the public. Both stars get along really well including their families. Sammie is always welcome to join Arjo’s family gathering likewise the actor is also invited to Sammie’s family event. Sammie is very much close to Arjo’s sister Ria Atayde and especially to his mother Sylvia Sanchez because they’re both speak Bisaya since Sammie came from Zamboanga City. According to Arjo, the qualities of Sammie that caught his attention is her simplicity and her very bright personality. He found her very nice and easy to get along with. 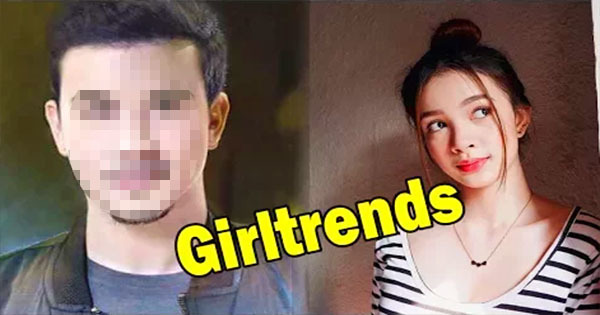 “Simple siya, sobrang simple, mabait…Like any other guy would look for a girl, traits for a girl, mabait, simple, easy to get along with and nakikipagbiruan,” Arjo described. The door of show business opened for Sammie due to her popularity online, particularly to her very playful musical.ly videos.